Farm distress has emerged a major issue in the Rajkot Lok Sabha constituency, which is a mix of urban and rural areas and a key seat in Saurashtra region of Gujarat. The constituency has remained a BJP bastion for over two decades, with the party winning the seat six times in the last seven elections. However, this time the Congress appears determined to give a tough fight to the BJP in the seat. The main contest here is between sitting BJP MP Mohan Kundariya and Congress candidate and MLA Lalit Kagathara. The Centre recently announced setting up a campus of the All India Institute of Medical Sciences (AIIMS) in Rajkot. The Cabinet Committee on Economic Affairs also recently approved development of an international airport here, after the state government alloted land for the project. In June 2017, Prime Minister Narendra Modiinaugurated a project to bring water to the Aji dam near Rajkot under SAUNI Yojana, which has to some extent addressed theissue of drinking water crisis in the city. "After Modi became prime minister, he did for Rajkot what the Congress government could not do in 60years. The city is set to get an AIIMS and an international airport. The SAUNI Yojana has addressed the drinking water issue," said BJP leader Dhansukh Bhanderi, who is party's Lok Sabha poll in-charge for Rajkot. Bhanderi claimed the BJP is well-poised to win the Rajkot seat, which consists of seven Assembly segments, with even rural voters supporting the ruling party. ALSO READ: Has Modi really changed India? "The state government announced a large part of Rajkot rural as drought-hit after scanty rainfall, providing relief to farmers. It also released Rs 2,600 crore as part of crop insurance premium," he said, expressing confidence that the BJP will get lead in all the seven Assembly segments. Since almost half of the Rajkot Lok Sabha constituency is rural, agriculture distress is a big issue for voters. Highlighting the issue, the Congress has claimed the BJP government failed to provide crop insurance to drought-hit farmers. The BJP won the seat six times in a row since 1989 before Congress leader Kunvarji Bavaliya snatched it from the saffron outfit in the 2009 Lok Sabha polls. Kundariya, who won in 2014 defeating Bavaliya, was made Minister of State for Agriculture in the Modi government, but was dropped from the Council of Ministers in July 2016. Local Congress leader and former Rajkot mayor Ashok Dangar says Kundariya is a weak candidate, who "failed" to perform both as a minister and MP. "He was dropped because he failed to perform and the public knows this well," Dangar said. He claimed there is water scarcity in Rajkot as dams have not been filled under the SAUNI Yojana. "Such announcements (like SAUNI Yojana) are made just before polls to mislead the voters. Nothing has been done at the ground level and voters understand it very well," he said. Out of seven Assembly segments that fall under Rajkot Lok Sabha constituency, the Congress won three - Tankara, Wankaner and Jasdan - all rural ones, while the BJP bagged four urban seats -- Rajkot-West, Rajkot-East, Rajkot-South and Rajkot-Rural -- in the 2017 state polls. Jasdan later went into BJP's kitty after its sitting MLA Bavaliya switched over from the Congress to the saffron party and won the seat in a by-election held last year. The BJP is also in power in the Rajkot civic body. However, Vishal Kagathara, who is busy co-ordinating poll campaign activities of his father and Congress candidate Lalit Kagathara, says farm distress remains a major issue. "Farmers are a distressed lot in Rajkot. 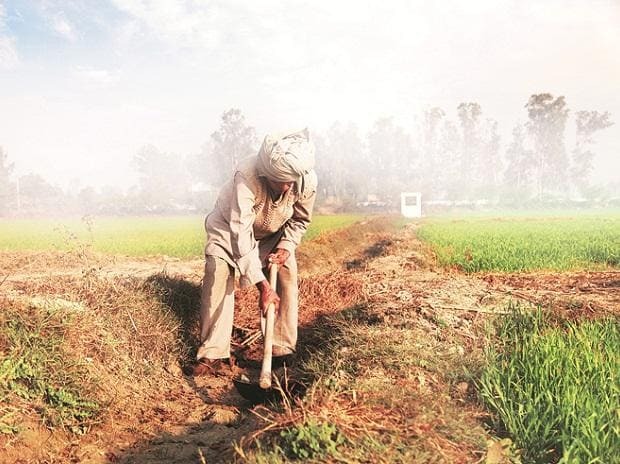 Unlike what the BJP claims, the cultivators have not got money against their cropinsurance," he said. "Despite the BJP being in power in the state for over two decades, it could not ensure irrigation watersupply in rural Rajkot. Setback to small and medium businessmen due to demonetisation and GST has also disenchanted the voters," he said. The Patidar caste dominates the region, but Dangar says it would not make a difference as both the BJP and Congress candidates hail from the community. The Koli community, to which Bavaliya belongs, forms the second largest caste segment in the area and has traditionally supported the Congress. Rejecting the possibility of Kolis shifting towards the BJP, Vishal Kagathara claimed the community will continue to vote for the Congress. There are 18.83 lakh voters in the constituency, which goes to polls along with 25 other seats in Gujarat on April 23.